We have posted Pedro Vaz Pinto’s August report about his work with the Palanca Negra Gigante (Giant Sable) in Cangandala National Park, which includes photos such as the two below. Click here or on the Giant Sable button on the top right corner of this page to read the reports which date back to May 2008. All photos courtesy of Pedro Vaz Pinto. Pure female Giant Sable, Cangandala Park, August 2008. 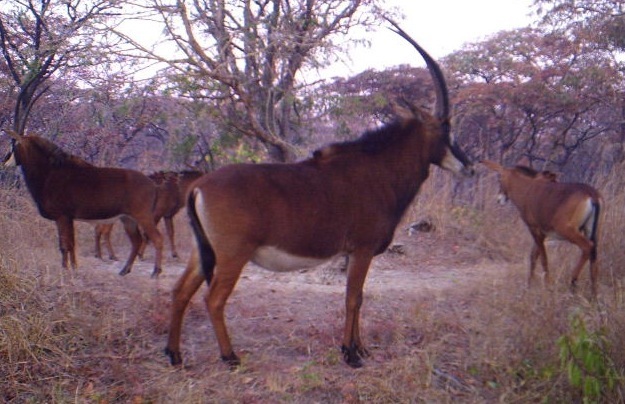 Pedro Vaz Pinto, who heads up the Giant Sable Conservation Program, has given several field group presentations about this endangered species. Pedro is the Environmental Advisor for the Catholic University Centre for Scientific Studies and Research. 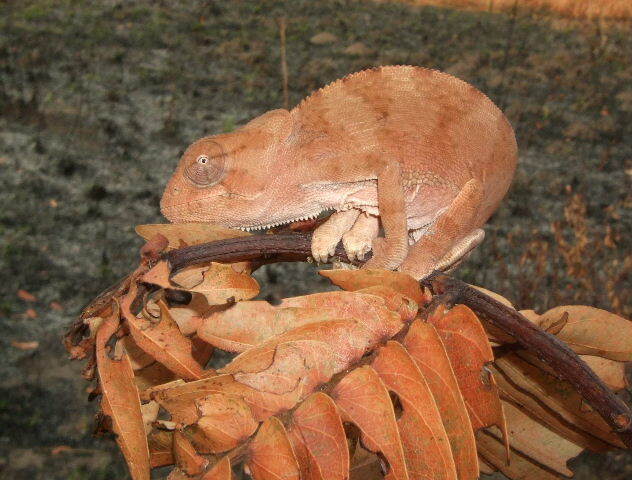 Now you see it, now you don’t, a chameleon disappears before our eyes in Cangandala Park. Beautifull creature ! I would like to know where I could get wooden models of these lovely antelopes in Luanda, Angola.